There is currently much handwringing over where to take the rules for the FIA WEC’s top category from 2021 and beyond. The series had previously outlined a set of so-called ‘Hypercar’ rules that would allow manufacturers to produce silhouette prototype race cars with production design cues. This rule set did not permit manufacturers to enter vehicles based on actual road cars, however, which forced many of them away. Thankfully the FIA changed its mind, last month, announcing that the rules had changed to allow for road-going hypercars to race in the class. This could allow Ford to enter the Ford GT in the FIA WEC’s Hypercar class, the automaker’s motorsports boss Mark Rushbrook said in a recent interview with Motorsport.com, although the automaker has not made a decision on the future of the Ford GT program. Ford may be waiting to see what the future of the IMSA WeatherTech SportsCar Championship’s DPi class looks like before committing to a WEC program. The automaker was involved in the discussions with the FIA that led to the formation of the Hypercar rule set, but has always expressed for common regulations between the American and European race series. 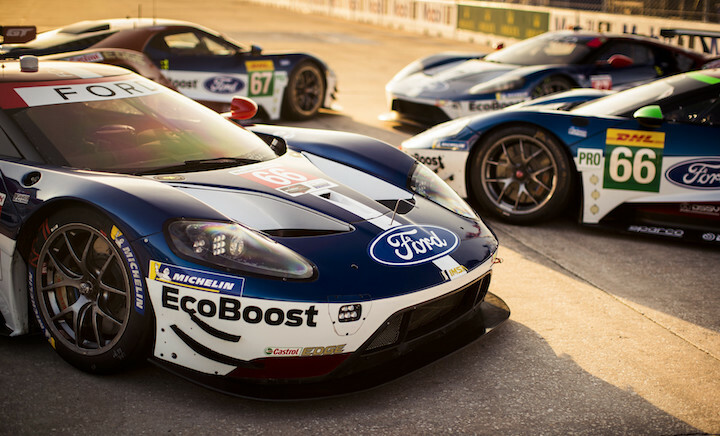 In the short-term, Ford will decide the future of the GTE and GTLM Ford GT programs. If the automaker decides to evolve the car and take it racing in the Hypercar class, it could bridge the gap between now and 2021 with an expanded customer GTE program. Ford announced in February that the first customer-owned Ford GT GTE, which was bought by Keating Motorsports, will race in this year’s 24 Hours of Le Mans with Ben Keating, Jeroen Bleekemolen and Felipe Fraga at the wheel.